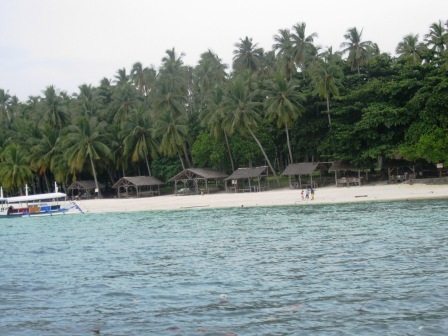 The original plan was to go island hopping in Talikud Island on day 2 of our Davao trip. However, a group of 7 pax, who arrived on the same day and time with us wants to go island hopping immediately because they will go to Pearl Farm the next day. Kuya Aries, a staff of Red Parrot Inn asked us if we want to join the group to cut the cost of boat rental. Boat rental for island hopping in Talikud Island is P1,800 (original price is P2,000 but in-house guests get a discount). So given that we were 9 in the group, we paid P200 each. SAVINGS!!! YEY! At least we can divert our savings to food and pasalubong. 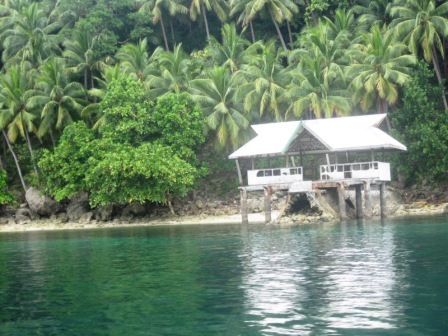 We passed by Isla Reta 1, just across Red Parrot Inn. 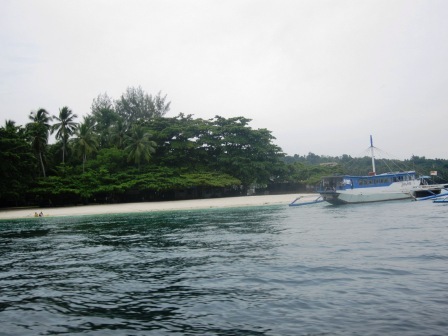 We were supposed to dock in Isla Reta 2 but the waves were really strong that our boat was not able to dock here. 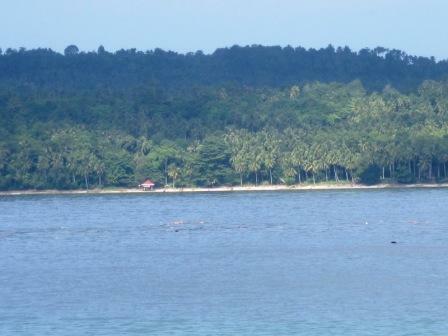 Isla Reta 2 is facing the open sea, unlike Isla Reta 1 that faces Samal Island. From afar, we could see that the water here is really clear and the sand is white and powdery. Too bad we were not able to dock there. 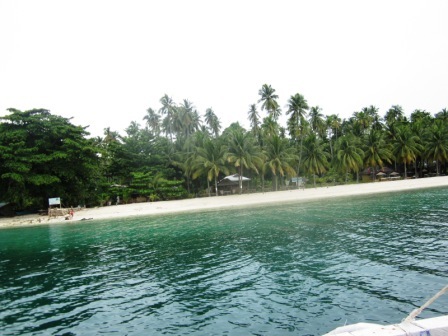 If you wish to spend time here, it will be better if you start your island hopping adventure earlier. We left the inn at 12nn and the waves are kinda big already. 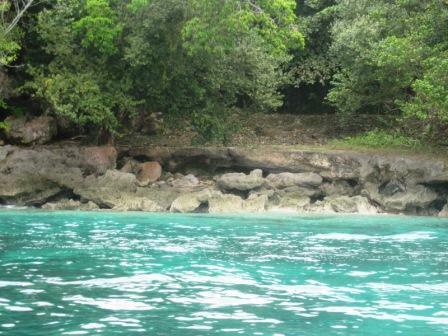 You can also go straight to Isla Reta 2 from Davao City. Simply catch a boat from Sta. 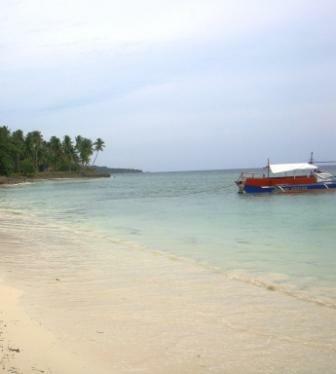 Ana Wharf at 9:00 am (look for the boat with the name "Isla Reta") and it will bring you there in an hour. Fare is P70. Day tour here is P75/pax. They also have concrete rooms at P850. I just wish the staff at Isla Reta 2 would answer text queries promptly. When I inquired from them, I only got 1 text about the rates. When I was confirming our reservation, no one is answering my calls anymore. So I ended up pissed off and did not bother to call them again. Evident clear water from meters away. 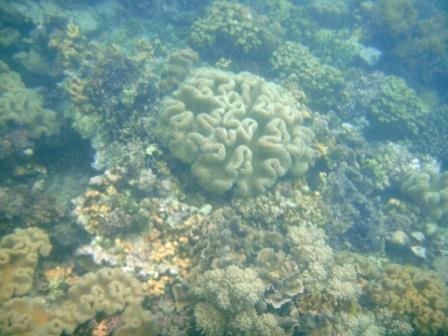 Our next stop is the Coral Garden. 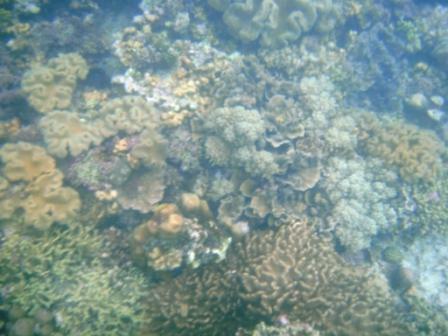 It took us about 1 hour and 45 minutes to reach this snorkeling haven. No entrance fees here plus they have a shore where you can bathe in the sun! Though we walked from our boat to the shoreline because the tides are getting lower that time. There are parts of the beach that are rocky, but the sand is generally fine. 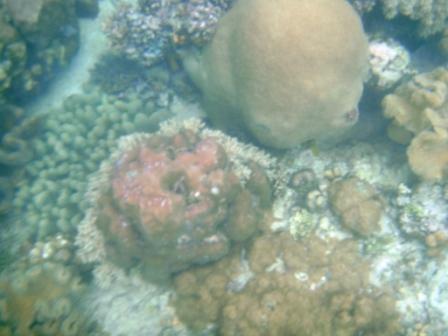 Still like the ones in Bantayan, Cebu. 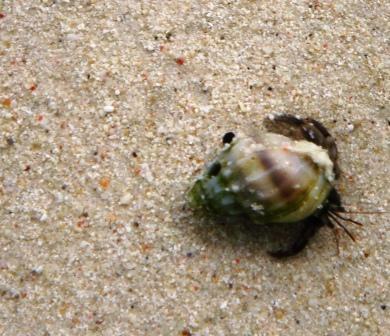 Along the shoreline were a lot of cute hermit crabs. My daughter was really fond of them. 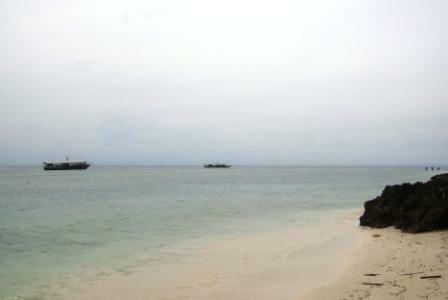 We also passed by Babusanta and Dayang beach which are at the opposite side of the island, still facing open sea. 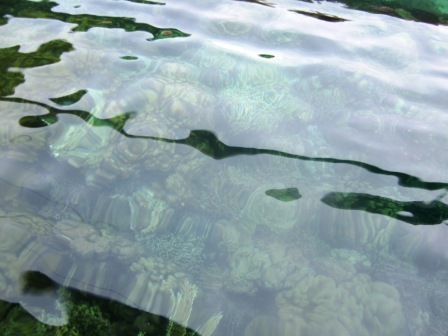 Our last stop was Angel's Cove where the water is sooooooooo deep yet sooooooooooo clear! Kuya Aries said it's where beginner divers go to practice. See how clear the water is? I took a shot from the boat and you can still see what's beneath. 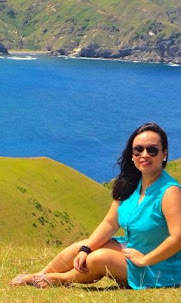 The island hopping lasted for about 4 to 5 hours completing a 360 degrees tour of Talikud Island.